Julia creates and models Plantarium Gown for Trashion Fashion! 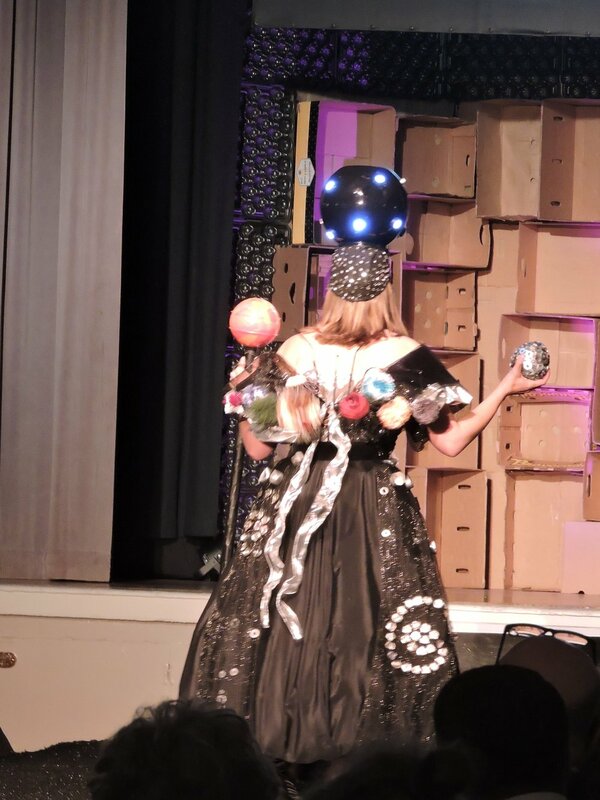 This year Julia was inspired to create a Planetarium dress for the Sonoma Community Center’s 9th Annual Trashion Fashion. She also challenged herself to not only make the gown but to model it too. Julia, along with 50 or so other designers put together an array of amazing designs and themes. Friday, April 12 from 5:00 to 7:30 the Sonoma Community Center, at 276 East Napa Street, Sonoma, CA, hosts the Wrap-up Party with all designs on display to show the incredible workmanship that goes into the fashion piece. Awards will be announced as well. Join the fun, see the creativity, and meet the artists.